Hand and body casts were made to create custom-made spacesuits for each astronaut’s shape. A set of three suits with custom gloves were made for each astronaut; one to be used for training, one to be used for flight, and a third as a backup suit in the event of damage to one of the others. 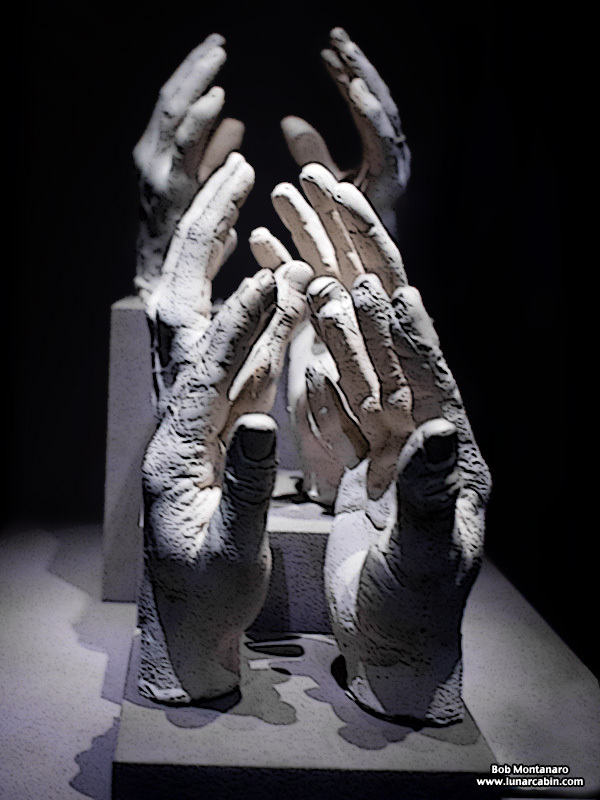 The hand casts of the Apollo 11 crew from front to back: Neil Armstrong, Buzz Aldrin, and Michael Collins.